Long ago, 2009 maybe, in a land not so far away called San Francisco, I had the most amazing cupcake. My cousin John brought a box of cupcakes home from That Takes the Cake. In the box, there were some red velvet cupcakes, chocolate cupcakes, and these interesting green-colored cupcakes. We all know that yellows and reds make us hungry. I suppose I am an anomaly or have some form of synesthesia because my stomach seems to growl more for green colored foods. Spinach. Delicious. Pistachio macaroons. There’s no better flavor. Jalapeño kettle chips. There’s a bag hiding in my sock drawer. I picked up the alien skin-colored cupcake and took a bite. I knew we just met, but I was in love. The room was spinning and fireworks were going off! What a brilliant combination of flavors! 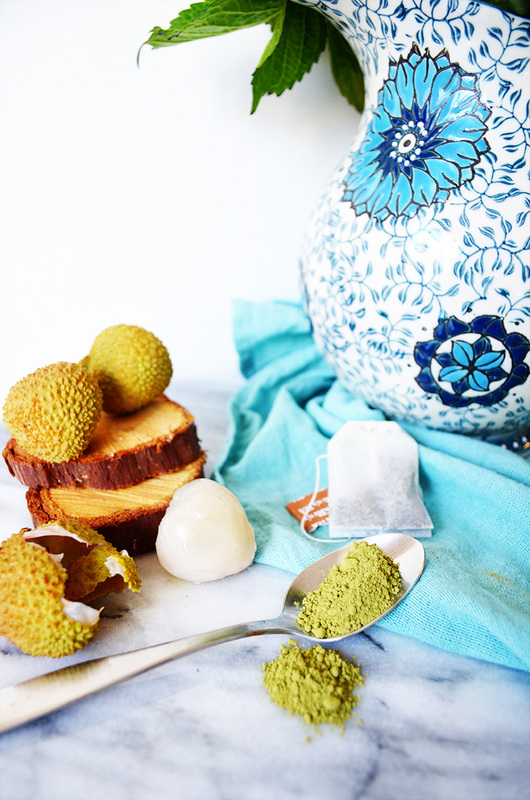 Recently, I became inspired to make my own because lychees made an appearance at my local grocery store. I haven’t had one of these cupcakes in a long time, so I recreated them based on my (bad) memory. Three batches later, I developed the perfect recipe. To say these cupcakes are amazing just shows how inadequate the English language is. 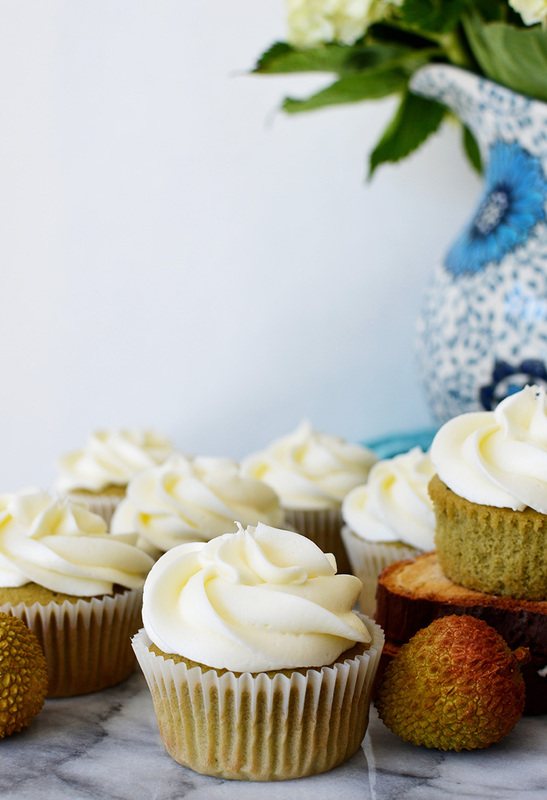 These gorgeous green cupcakes are free from any food coloring. Lychees are a pale fruit, covered in a tough, bumpy skin. They are very sweet and fragrant. Growing up, I had them all the time for dessert. 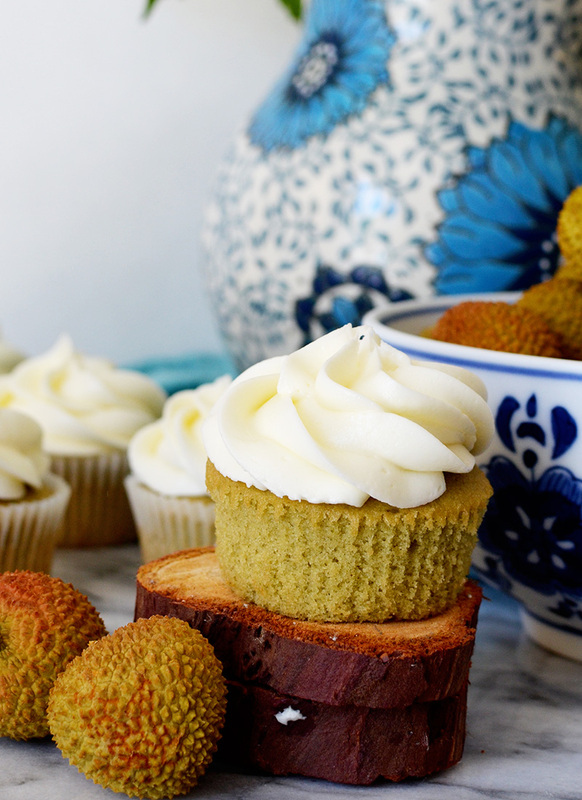 You’ll need 2 tablespoons of lychee juice for the frosting. Peel a handful of lychee and put it in the food processor. Strain and collect the juice. You could also find canned lychees at any asian grocery store. Waiting for the cupcakes to cool is the hardest part. Once they have cooled, pipe or spread on the frosting. I used the Wilton 1M (closed star) tip for these cupcakes. I hope you can forgive my amateur piping skills. Enjoy. Indulge. Fall in love. Preheat the oven to 350F degrees. 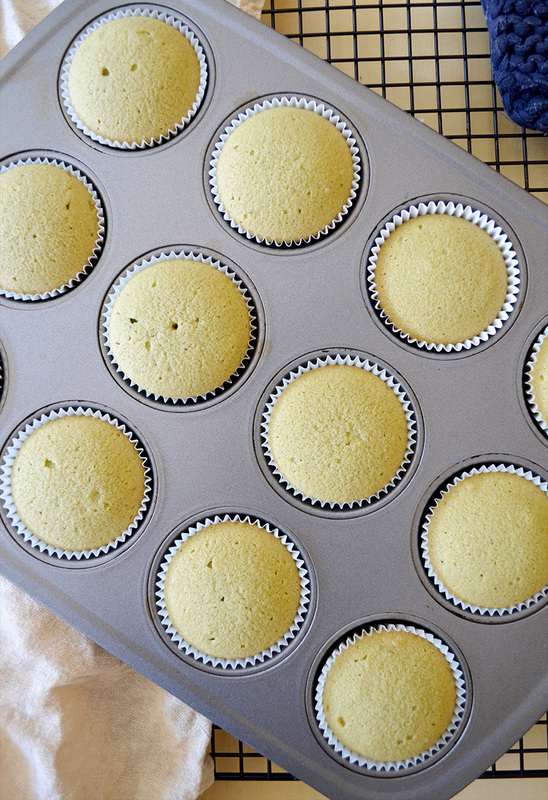 Line one 12-cup muffin pan with baking cups. In a small cup, combine the water and tea bag. Let it steep for 5 minutes, then remove the tea bag. Put in the refrigerator to cool. In a large mixing bowl, cream the butter, white sugar, and brown sugar. Add in the vanilla extract then the eggs, one at a time. 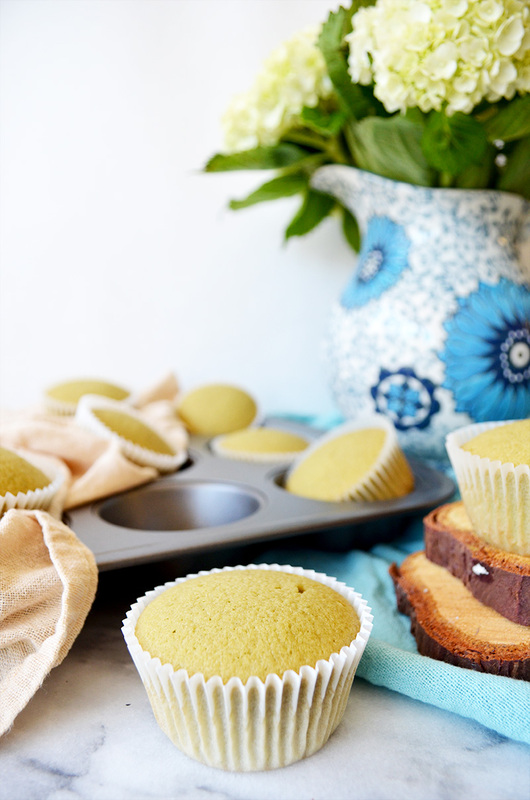 In a separate bowl, sift the flour, baking powder, salt, and green tea powder. Stir together. Slowly add the dry mixture and the green tea to the wet mixture. 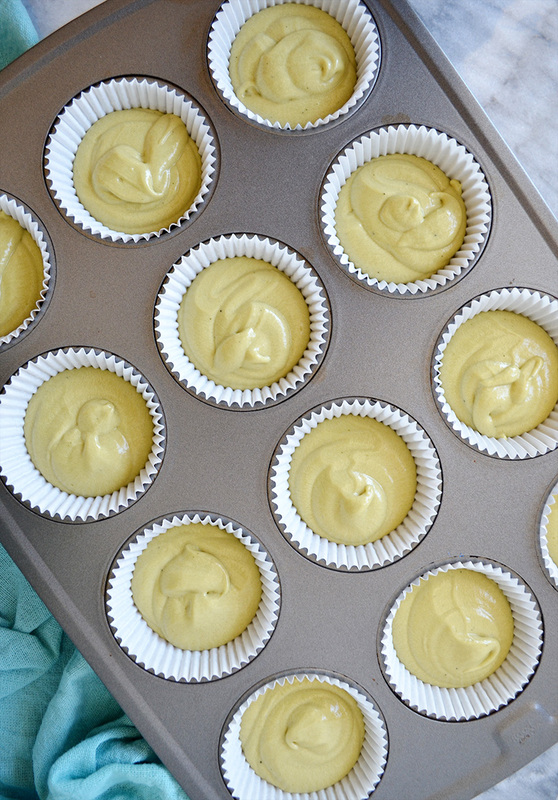 Pour the batter into 12 cupcake tins about ⅔ filled. Bake for about 18-20 minutes. Allow it to cool completely on a wire rack before frosting. In a large mixing bowl, mix together the butter, lychee juice, and powdered sugar with an electric mixer on low speed -- one cup of sugar and one tablespoon of juice at a time. When the ingredients are incorporated, increase the speed to medium and mix for another 2-3 minutes until light and fluffy. 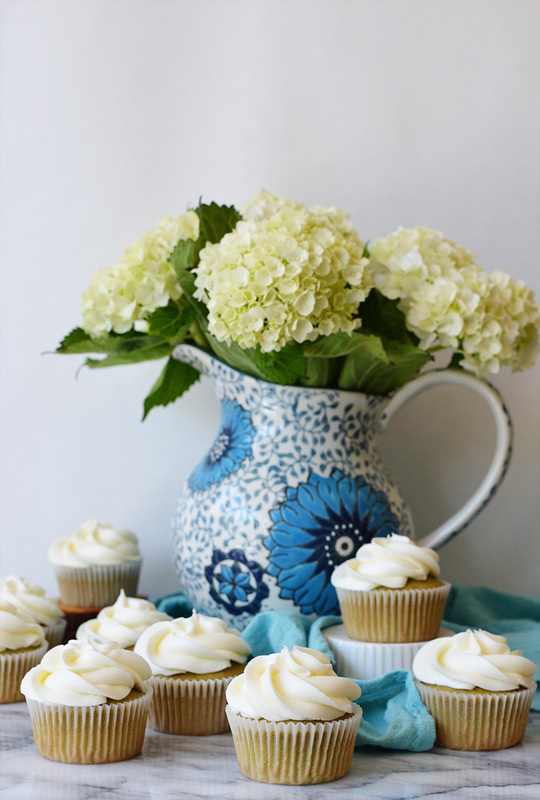 Spread or pipe the frosting on top of cooled cupcakes. I am loving this combination Connie. Plus, I love that you get that beautiful green color without any food coloring. 😀 I’ve never had lychee, but really want to try some now. Thank you Cindy! You are too sweet <3 They really are a delicious combo (: I was grinning from ear to ear when I finally got it right! Thank you so much Rachel & thanks for pinning!! Love Bakerita! 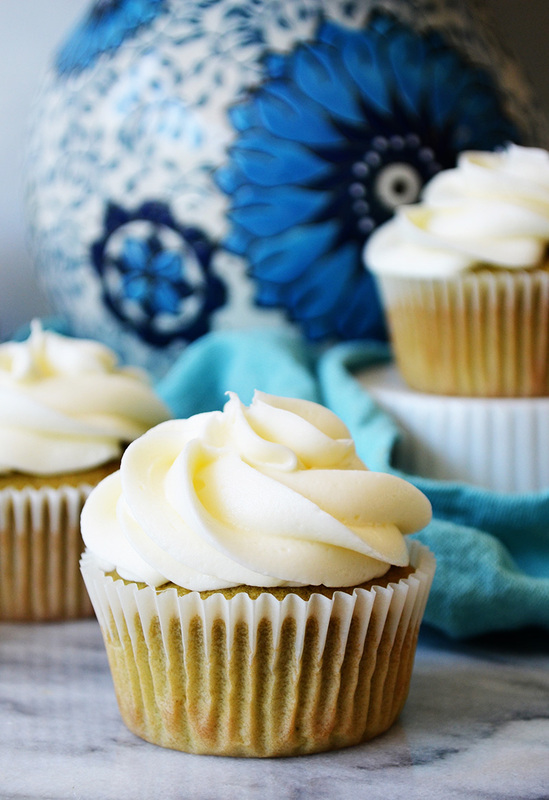 Lychees are delicious and this frosting is amazing! These cupcakes are gorgeous! What a perfect flavor combination! I’ve never tried lychee before, but now I’m intrigued! Thank you Gayle! 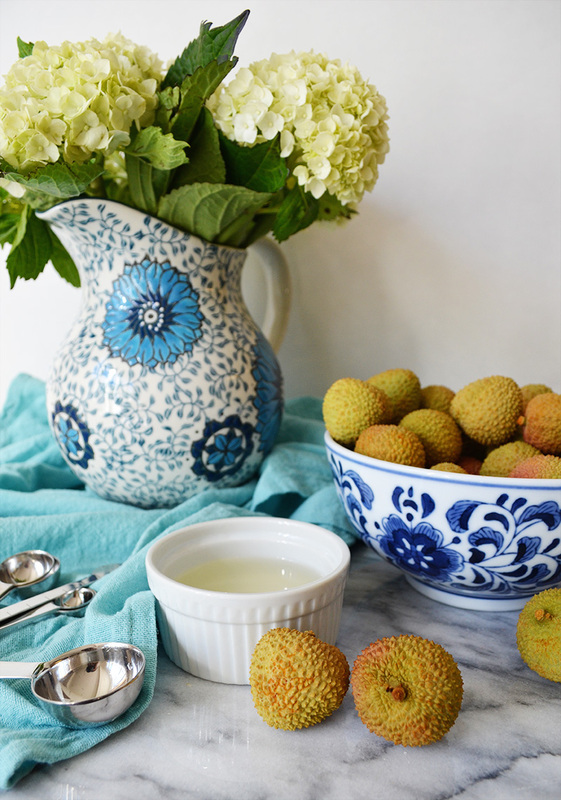 You should definitely try some fresh lychees. They are so sweet and delicious! 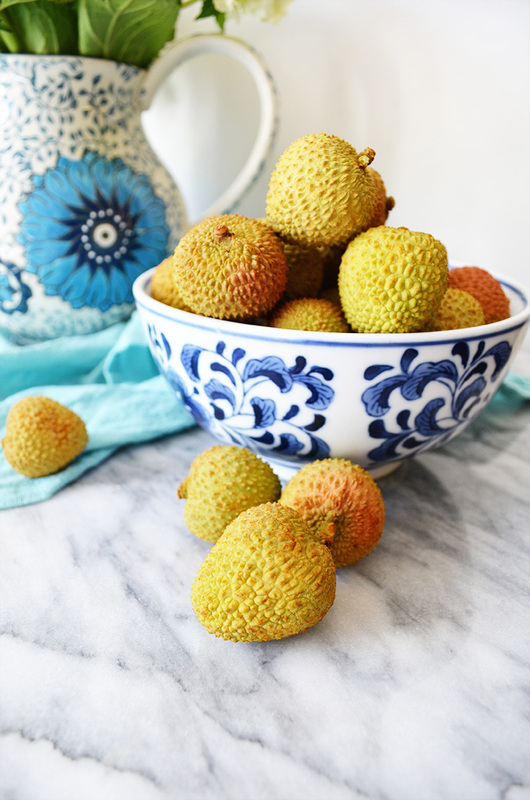 For those who are curious about lychees (so you know what you’re getting yourselves into) lychees are a small juicy fruit, members of the soapberry family. The only way I can think of to describe their flavor is a cross between mandarin oranges and pear? A very delicately sweet flavor- I imagine it tastes lovely with green tea! I haven’t made these yet but I can’t wait to! Now to get my hands on some matcha…..